We Failed Bad at Sneaker Cover-Up!! 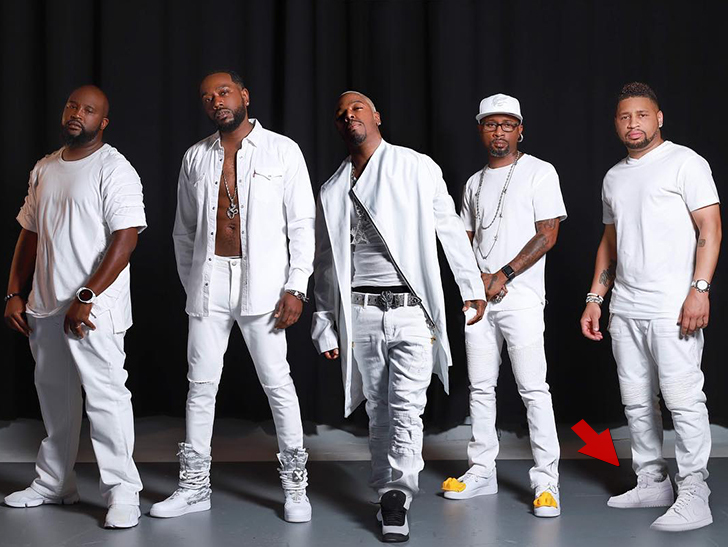 Smoke, formerly lead singer for Playa, tells TMZ the mix-up started when he showed up for the photo shoot with Sisqo and the rest of DH, including fellow new member, Static Major. As the Internet immediately figured out … those white Jordan 1 shoes on his feet were dropped in to cover up his, uhh … wardrobe malfunction. He says a miscommunication on what the shoot was supposed to frame (or not frame, more like) led to a last-minute change in editing … and the rest is history. As you probably know, fans roasted the poor Photoshop job with a bunch of “WHAT ARE THOSE? !” memes. Despite the widespread jokes … it sounds like Smoke would do it all over again. Comfort over everything, baby!